Mrs. Meena Mohan is a Co-Founder& Director of Kumaran Systems. She was an integral part of founding Kumaran and took up several roles within the company in the early days to see that it succeeds. At Kumaran's inception she oversaw the Accounting, General Administration and Human Resources departments. 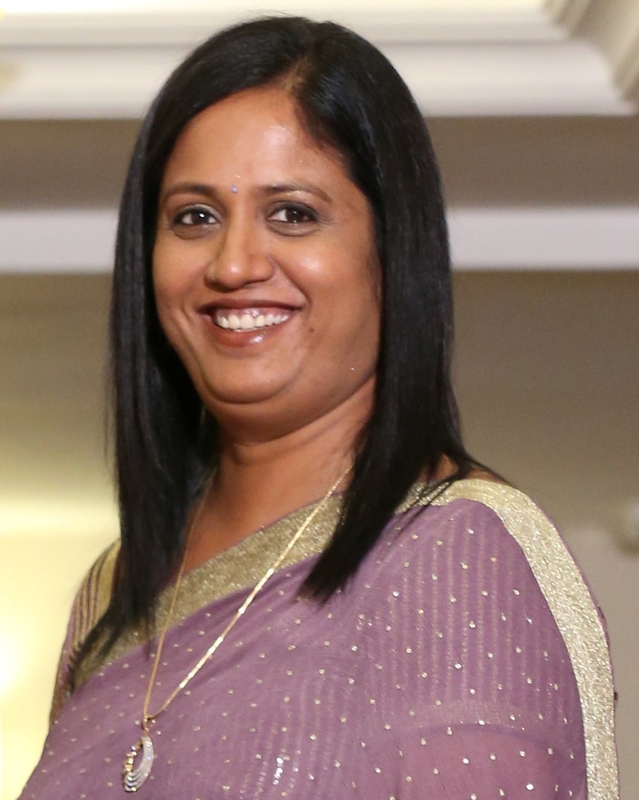 Her compassionate nature helped lay the foundation for Kumaran's Human Resources policies, which has resulted in happy employees and low attrition. Chairperson of FICCI Ladies Organization (FLO), Chennai Chapter. Managing Trustee of Meena Mohan Charitable Trust. The trust supports underprivileged children with educational sponsorships and has created a self-help group for women providing financial assistance to help them become self-reliant.